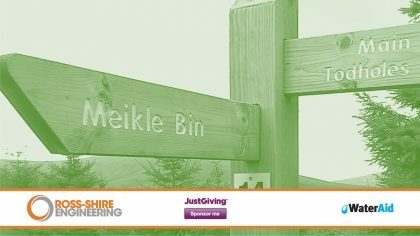 On the 6th June a team from RSE will be tackling the Meikle Bin walk as part of the Tartan Trail 2018 to support WaterAid Scotland. 783 million people in the world are without safe drinking water and 2.5 billion people do not have access to adequate sanitation. Please click on the link below to visit the Just Giving page and help raise as much as possible so we can help create a world where everyone has access to safe water and sanitation, basic human rights.